That Blatantly Copies Its Competition? Would you trust your next door neighbor if he was a convicted thief? Of course not. Then why accept a sneaker company that rips-off their competition? Let me explain. When we heard New Balance created a knit sneaker hailed as “breathtaking” our initial thought was, “surely they ripped-off one of the greats.” When it comes to knit sneakers, nobody does it better than Adidas and Nike. They have that market locked-down. We figured, the only way anyone could ever compete with Adidas and Nike…is by copying their styles. Boy, were we wrong. Just how good is the New Balance 247? Since this is a women’s sneaker, we figured, who better to test than a woman with an active lifestyle? Our good friend Sarah was the perfect candidate for the comfort-test. She loves Crossfit, running, hiking and above all, she’s familiar with knit sneakers. So what was her first impression? They fit snug and comfortable. Very breathable. They look like they can be worn for any occasion. They offers a very soft step – not as bouncy as the UltraBoost. “They’re lighter.” – Because they use REVlite technology, the foam sole is 30% lighter. Before trying on the New Balance 247s, Sarah’s most comfortable (and favorite) pair of knitted sneakers was the Adidas UltraBoost Uncaged. When we asked her how they compared to the 247s, she told us it was close. She couldn’t declare a clear winner. 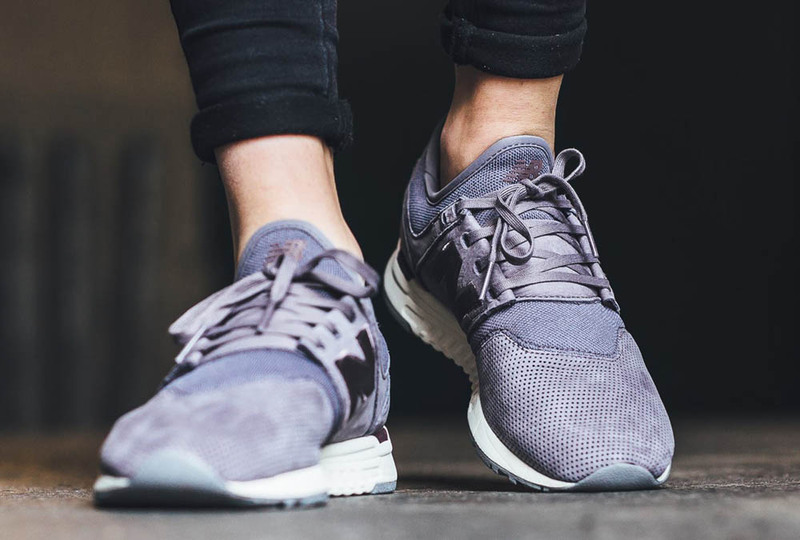 The New Balance 247 is designed for people on the go. It’s the companion that will always keep up. They’re light, they’re flexible and they offer a bootie construction that fits snug – like a sock. What sets the 247s apart is the premium suede overlays. They give the shoe an edgier look. It looks clean; a sock-sneaker with class. They also feature a REVlite midsole that provides you with a soft step (this stuff utilizes 3D printing and is 30% lighter than other foam!). It’s not about who comes out with the first concept, it’s about who does it best. Although Nike and Adidas have created knit masterpieces, there’s no denying that New Balance has created comfortable masterpieces of their own. And if you’re looking for a shoe that does it all, the New Balance 247 won’t disappoint. 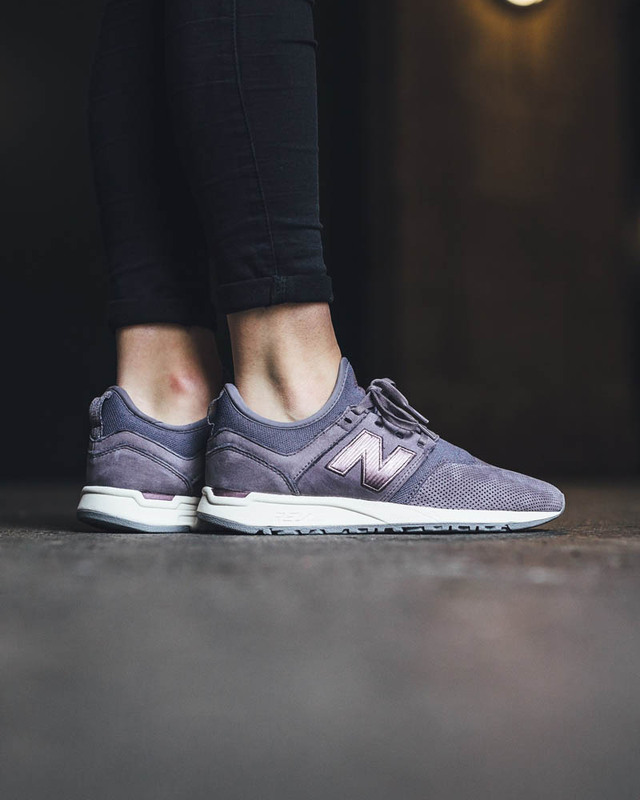 If you want to experience the beautiful New Balance 247 (in knit and premium suede), click the link below and place your order.